Today I have been making a valentines gift. This can be used as the card you are going to give and to make it that little bit extra special you could put a photograph on the back…….maybe the first photo of you both ever taken …..(maybe not with the Hairstyles!! ) or maybe a photo of something special to you both. Anyway just an idea, oh and I am sure a little bit of chocolate would fit in there too ! So how did I make it. 1. 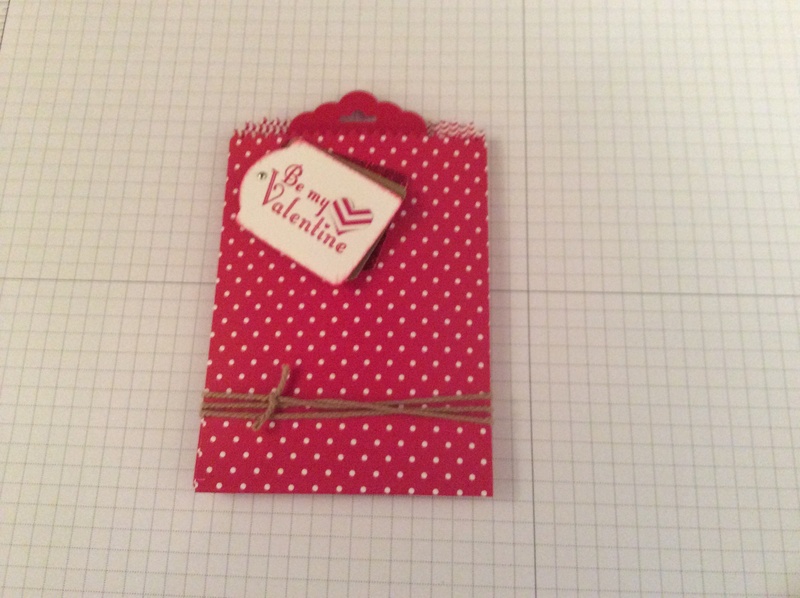 Firstly I used my Stampin up big shot with the Mini treat bag Thinlits die using the Real Red Brights colour collection. I cut out the shape and then assembled the bag. 2. I then cut a piece of real red Card stock 5 1/2 ” x 3 1/2 ” and put this into the scallop tag topper punch and punched the top only . 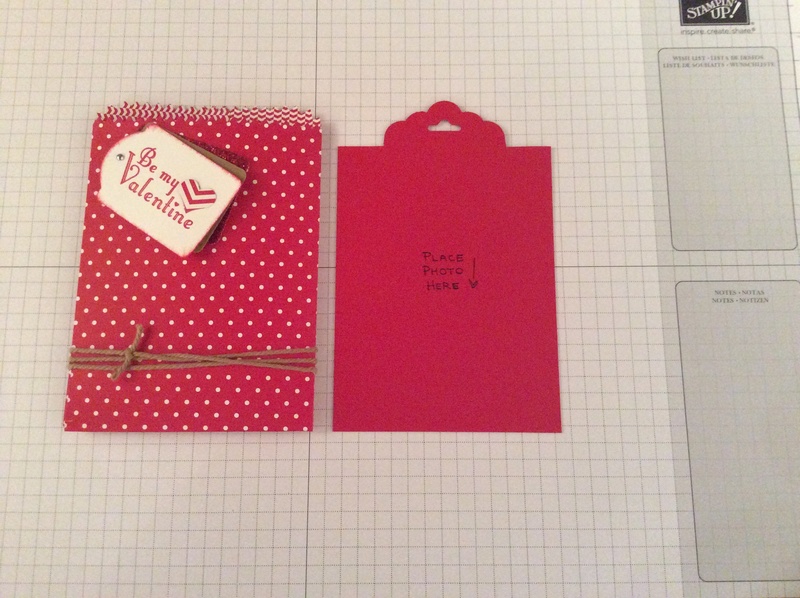 If you line the card stock up level at each side you should get it in the middle. Cut off excess at side. 3. Cut a piece of whisper white at 5 1/4 x 3 1/4 and adhere this to your tag. Stamp on I love us in real red classic ink. 4. 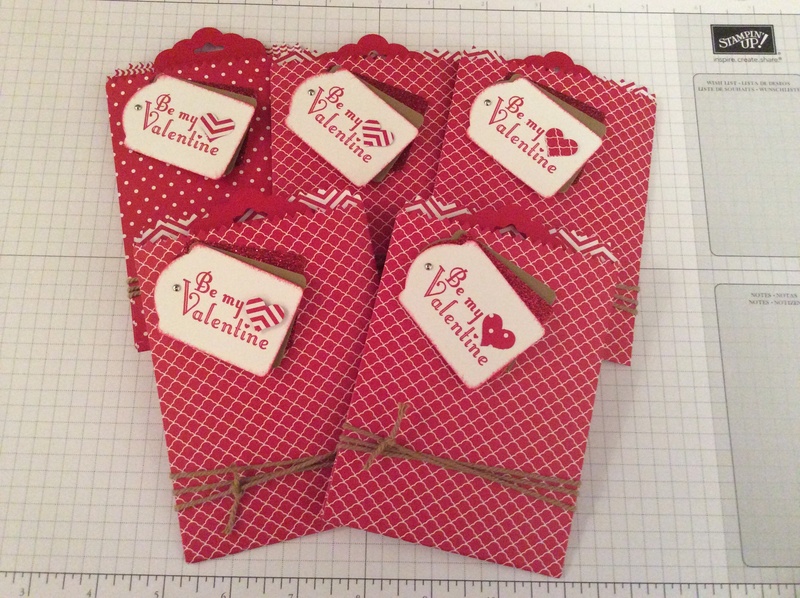 Stamp will you be my valentine (delightful dozen) on whisper white. 5. Using the note tag punch, punch out 1 in baked brown sugar. 1 in red glimmer paper . 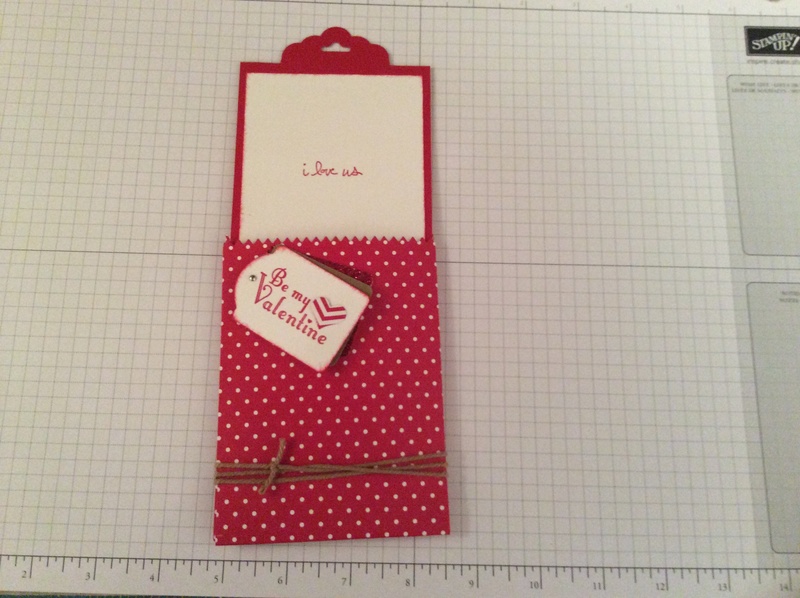 And punch out will you be my valentine stamped image. 6. Offset these tags on an angle keeping the top level using dimensionals. 7. Adhere a brad to the top to keep them together and also for a decoration. 8. Adhere the whole set to top left of bag with mini glue dots. 10. Tie bakers twine around three times to give a nice effect. I tied it in a knot. 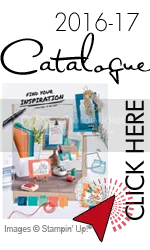 If you need anything else from Stampin Up just hit the button on the Top left and it will take you to my shop. Click the link and it will show you all products that I used. If you hit the product it will take you to my shop . Love the idea of these, they’re great!